In addition to our four days of field recordings, we also agreed to pursue a vital project for Singing Wells in Nairobi. 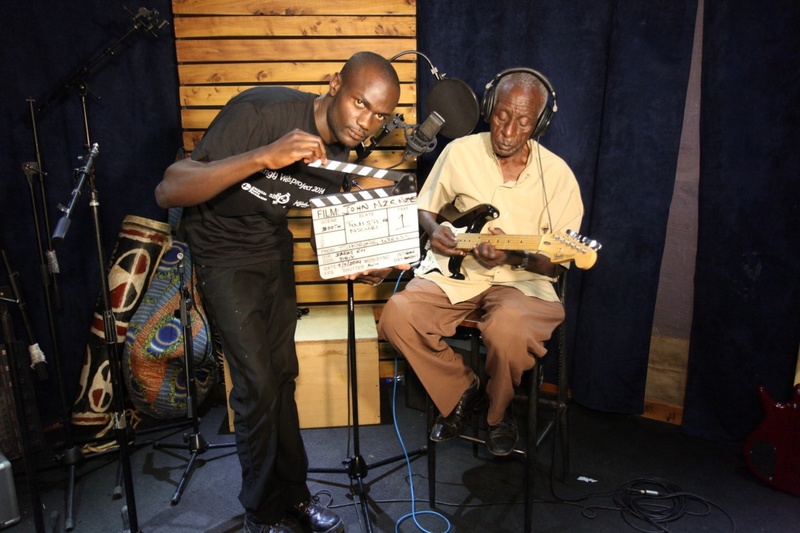 Ketebul and Abubilla Music personnel joined together to record some of the most important ‘bridge’ artists in Kenya – a group of musicians that build a connection between the music of their villages and modern music. These were the founders of Benga, the African Twist, ‘Luhya Omutibo’ and the ‘Yoodle sound’ and represent the Luo, Luhya and Kikuyu ethnic communities. 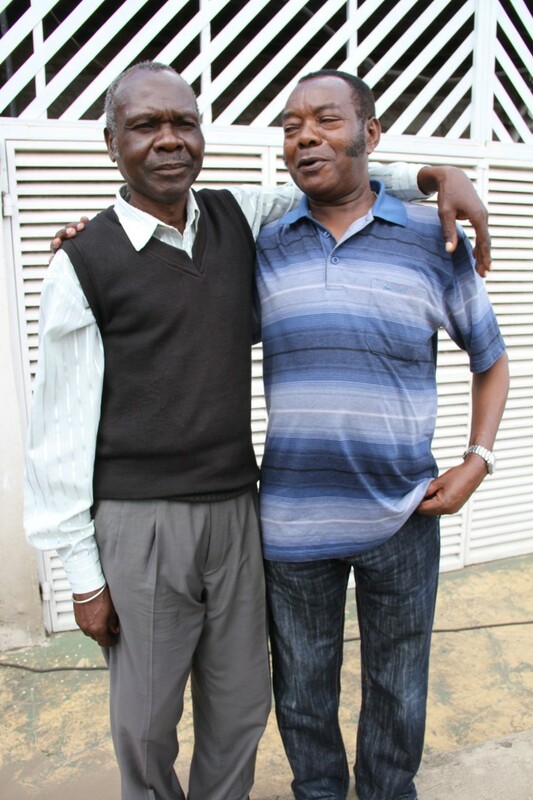 Ochieng’ Nelly was born Nelson Ochieng Orwa in 1943 in South Nyanza. 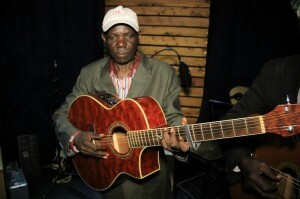 The guitar came to Kenya after WWII and inspired a lot of young men who were steeped in village music. 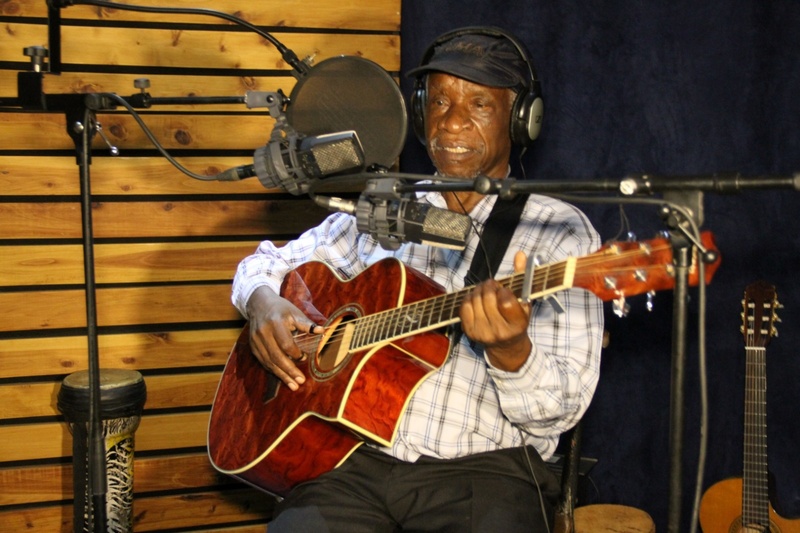 One of these was Ocheieng’ Nelly who got his first guitar in 1961 and his playing was shaped by the Luo Nyatiti and a new musical style being developed in the Congo. Specifically, he was taught and inspired by the pioneering Congolese Musician Adolf Banyore. He travelled widely through Uganda, Congo and other African countries. He was widely exposed to Congolese guitar playing styles. 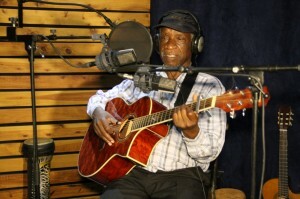 He developed his own unique playing style that was later a big influence to the sound of The Ogara Boys Band, and Benga music in general (see Ketebul’s write up on the history of Benga). 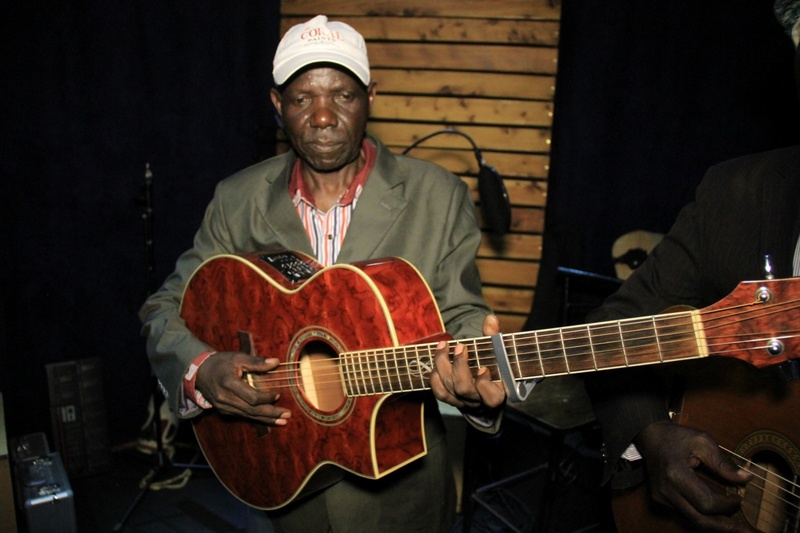 Part of this style was a direct result of the Luo Nyatiti that he grew up with in the village – his guitar and the Benga bass works to copy the syncopated style of the Nyatiti in traditional Luo music. Nelly worked with his Congolese mentor for a while before joining The Ogara Boys Band in 1962. 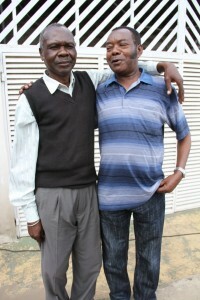 The Ogara Boys Band also consisted of founding members John Ogara Odondi and Aketch Oyosi. Together the trio started and developed a unique sound that got the name Benga, in 1963. In 1966, Nelly left Ogara Boys Band to pursue his career elsewhere. He briefly collaborated with another Benga legend, George Ramogi. 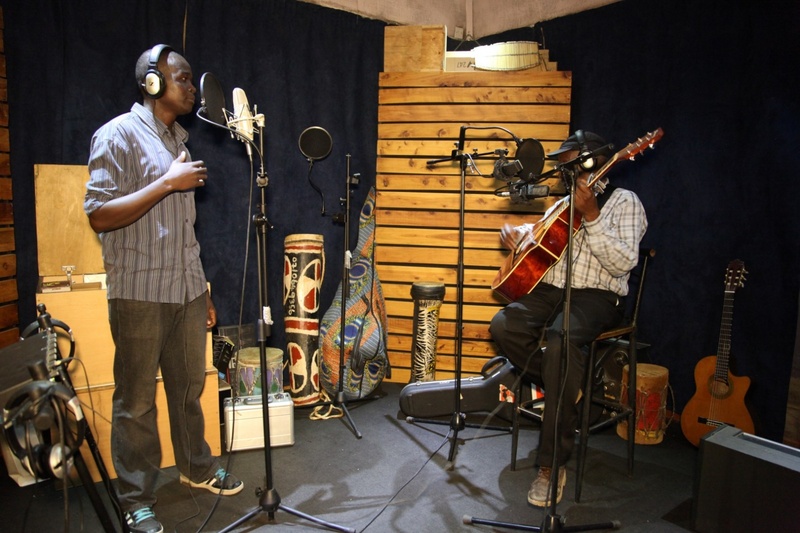 He has a very intricate way of playing guitar, inspired by the syncopated rhythms of the Luo Nyatiti. He continues to sing now and is mentoring his nephew, Gerard Okuku Danger, who sings backing vocals on our recordings. They have a regular gig every Wednesday through Saturday in a place called the Bumira Centre. He’s teaching him the old Benga sound and they are composing new songs. One of the interesting conversations we had with him in the studio was about how current music is written. In his day, he wrote songs and performed them for a full year before bringing them into the studio – by that time he knew what worked with audiences and he evolved the song to something he loved. Today, artists go to the studio first – giving birth too early to a work of art. 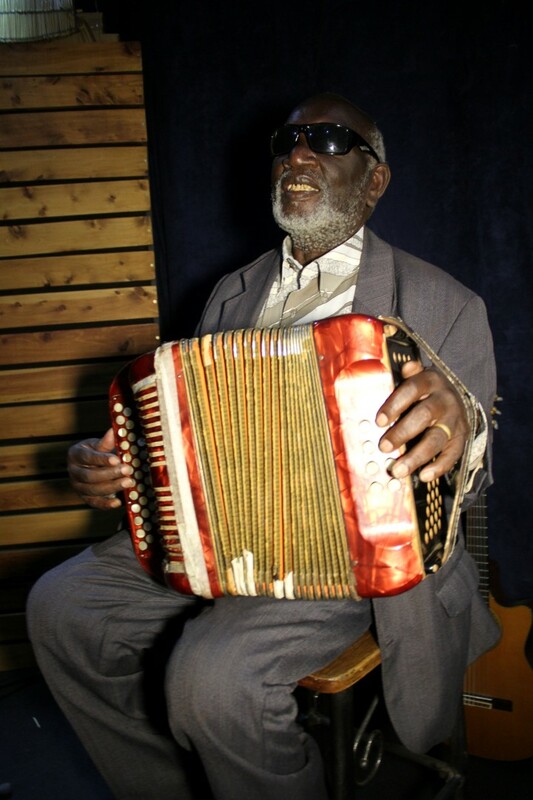 His full name is Walioshamiri-Mzee Wanganangu and he is a famous Kikuyu accordion player, who played in clubs like the Roasters in Nairobi in the 70’s. The musicians were very influenced by American Country music, and one of his songs was the ‘Yoodle’ which he recorded with Merciiria. 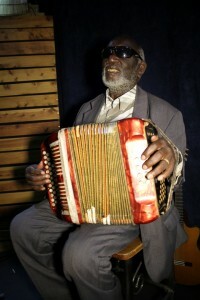 He was heavily influenced by Gacungi wa Kamau, a pioneering accordion player who was the first ‘secular player’. He often visited Wanganangu’s homeland and recruited Wangangangu to pursue a musical career. We first worked with Osumba during our trip to Nyanza in 2011; he is the founder of the Sega Sega band and ‘Flora’ remains a Singing Wells favourite. He is one of the most important musicians in Benga. “I started playing music in school and I had a cousin Aoka Meja, who had a guitar. We copied the style of Adero Onani who played traditional music on the guitar. In 1958, I got my first acoustic guitar and played Rumba. In 1965, I started to play Benga. 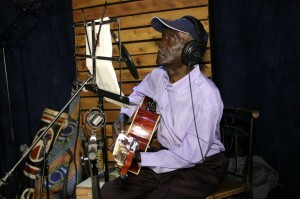 Benga was influenced by the beat of the Nyatiti and we interpreted that on the guitar. We also borrowed from the Orutu, which followed the voice of the singer. Even though this was rooted in the villages, my parents hated it – they thought I had abandoned traditional music – but I kept telling them I was taking their music to new places. We knew we were on to something big because everyone responded well to it. I think it is fine to be creative and innovative and rebel – but be a rebel with a cause. Too often kids rebel without a cause – they aren’t rooted. He is a pioneer of the ‘Luhya Omutibo’ sound and had a big hit with his band Abana ba Nasery (Nursery Boys, including Justo Osala on guitar and Enos Okola on percussion; they played throughout the ’60’s and ’70’s. Their style was linked to three part harmonies, two finger picked guitars and a ‘fanta bottle percussionist.’ In the 80’s, Shem formed a new band, Les Bunyore , before reforming Abana ba Nasery in the ’90’s. We recorded six songs with him. One of the founders of “African Twist”, John enjoyed a major hit with ‘Angelique Twist’ in 1961. Born in 1940, he started playing his father’s guitar at 12. His band, Air Fiesta Matata, achieved fame, having come in third in the 1968 All African Music Festival in Algeria, and this led to introductions to Miles Davis and a tour of the USA. DK’s full name is Daniel Kamau Mwai. 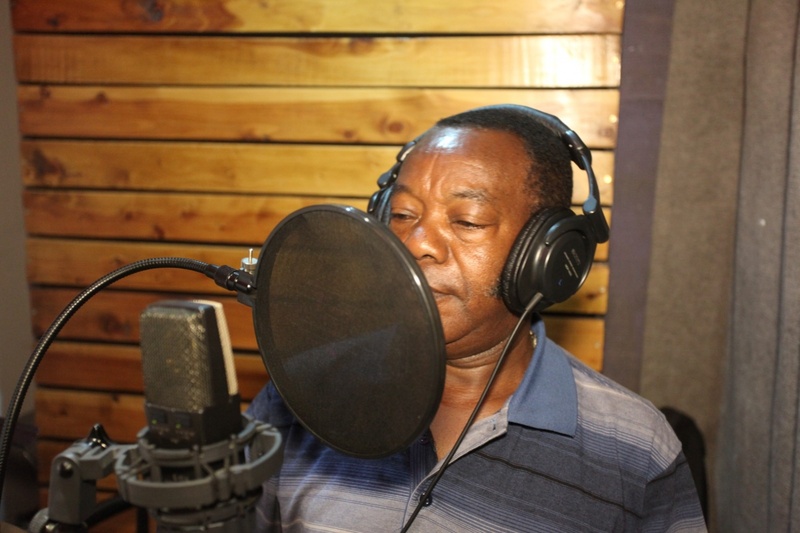 He was born in 1949 into the Kikuyu ethnic community and is one of the pioneers of Benga music, bringing it from the Luo to the Kikuyu ethnic communities. He started playing professionally in the late sixties and his first big hit came with the song I Love You, in 1970. His second big hit was Kanini and we were lucky to be able to record both with him this week.